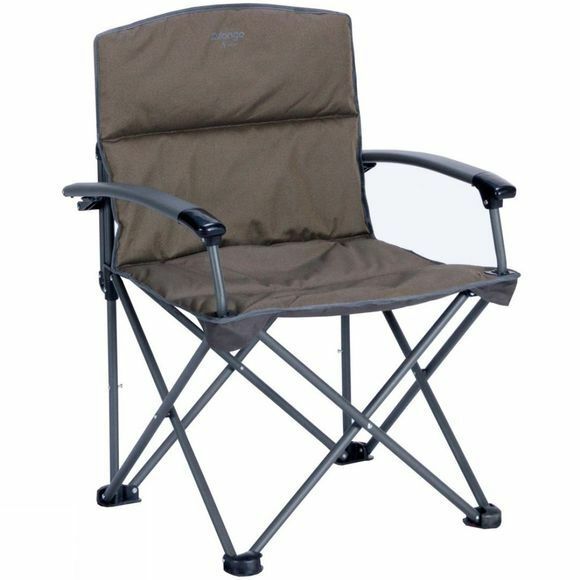 The Vango Kraken 2 Oversized Chair has been designed larger than the average chair, ideal for anyone looking for extra space and comfort while relaxing outdoor. Vango's DuoWeave fabric combines soft to touch fabrics and superb resilience to provide a highly comfortable place to be at the end of the day. Featuring hard arms for additional load bearing and constructed with a strong steel frame, the resultant lower centre of gravity adds strength and durability, allowing it to hold up to 180Kg. The Kraken also features a padded seat and backrest, making this the ultimate in comfortable, reliable camping furniture.